Proven record of delivering gold. No delivery fees for the lower 48 States. For details on fees click here. Click to fill-in the short Delivery Application. Once the investor's Delivery Application is approved, we give a window of up to 7 business days after the approval to submit the shares. Call toll-free at (855)MRK-OUNZ or email. Investors take posession of what they already own; as such, there is no reporting of any gold that is delivered to investors in exchange for shares. Yes, OUNZ's physical gold is held in a segregated fashion in the name of the Trust. Each investor owns a pro-rata share of OUNZ, and as such holds pro-rata ownership of the Trust's gold. 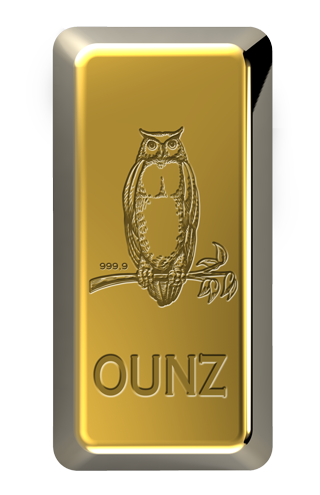 OUNZ's holdings are identified in a weight list of bars published at merkgold.com showing the unique bar number, gross weight, the assay or fineness of each bar and its fine weight. OUNZ's internal controls are audited each year. (*) If an investor redeems some or all of its shares in exchange for the underlying gold (including American Gold Eagle Coins) represented by the redeemed shares, the exchange will generally not be a taxable event for the investor (except with respect to any Cash Proceeds). A subsequent sale of the gold received by the investor will be a taxable event. For details, please see "Taxation of U.S. Investors" in the prospectus. A delivery applicant must submit a delivery application and payment for the processing and delivery fees to cover the cost of preparing and transporting the gold. The delivery of physical gold to applicants may take considerable time and the delay in delivery could result in losses if the price of gold declines. A share submission is irrevocable.